Born in New Orleans, James Neugass (1905–1949) attended Yale, Harvard, and Oxford and worked as a book reviewer, shoe salesman, social worker, and fencing coach before shipping off to Spain. His novel Rain of Ashes was accepted for publication shortly before his death in 1949 of a heart attack in the Sheridan Square subway station. 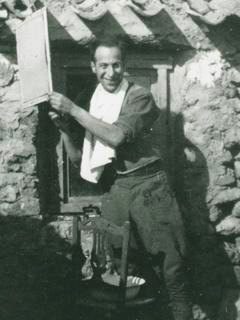 His wartime journal was published posthumously as War Is Beautiful: An American Ambulance Driver in the Spanish Civil War (The New Press) in 2008.